HÀ NỘI — Vietnamese fighters Nguyễn Trần Duy Nhất and Lê Hoàng Đức have advanced to the finals of the ongoing International Federation of Muaythai Amateur World Championships in Minsk, Belarus. 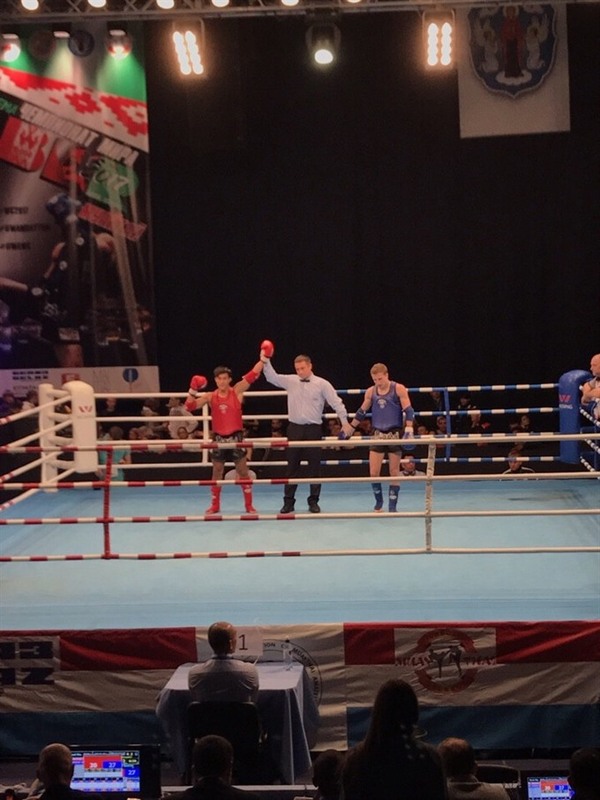 Defending champion Nhất silenced the Minsk Palace of Sport when he defeated host fighter Vinnik Artsem in the semi-finals of the men’s 60kg category. “Prior to the semis, the Belarusians were really confident because they were competing on home turf with great support from local fans,” said coach Giáp Trung Thang. “They cheered and shouted a lot to encourage Artsem and psychologically overwhelm Nhất, but it was of no use. Nhất is made of firm stuff. He was not affected and gave Artsem a lesson of muay on the ring,” Thang said. Nhất, the six-time world winner, will have to overcome Murat Arslan of Turkey in the last match to defend his title. Arslan, who has a rapid fighting style, beat Azitov Stanislav of Russia in the second semi-final match. “It will be a tense final as it is where the best fighters meet. However, I have faith in my athlete because of his great experience and especially as he is in perfect form. He is strong enough to beat the last challenge,” the coach said. The second finals for Việt Nam is between Đức and Bakytzhan Rifkhanov of Kazakhstan in the men’s 48kg class. Đức, who won a silver medal at the Asian Beach Games three years ago, is said to be an intelligent athlete with skilful technique. However, he has never won a world-level tournament because fighters from Thailand, the homeland of muaythai, have dominated in the lightweight classes so far. That’s the reason Đức was not a title favourite before leaving for Belarus. However, he has done a great job and smoothly entered the final match after two wins. On May 10, Đức defeated Yiu Tat Fai of Hong Kong in the semi-finals, while Arifkhanov won over Jojie Ajaron of the Philippines.